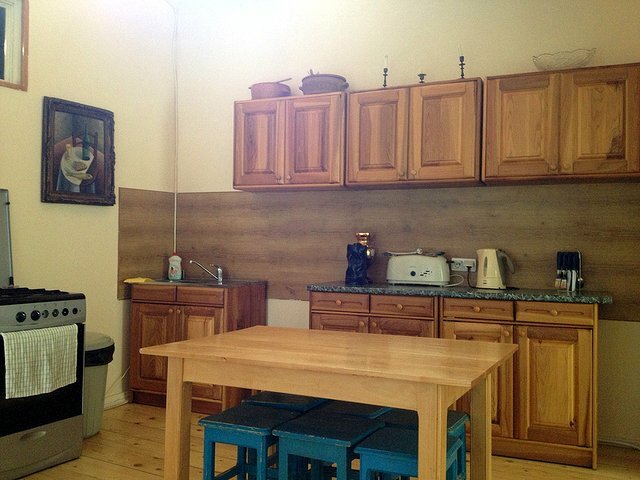 Book our Guest apartment Sayat-Nova-Street 17 in the Old Town of Tbilisi (Tiflis) with two separate bedrooms. 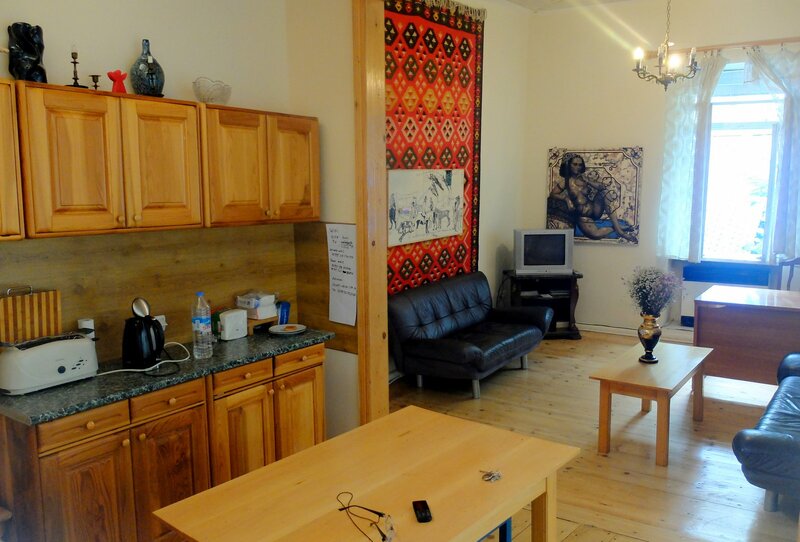 Five beds are available with a shared living room, kitchen and bathroom (if the other room is booked by other guests). 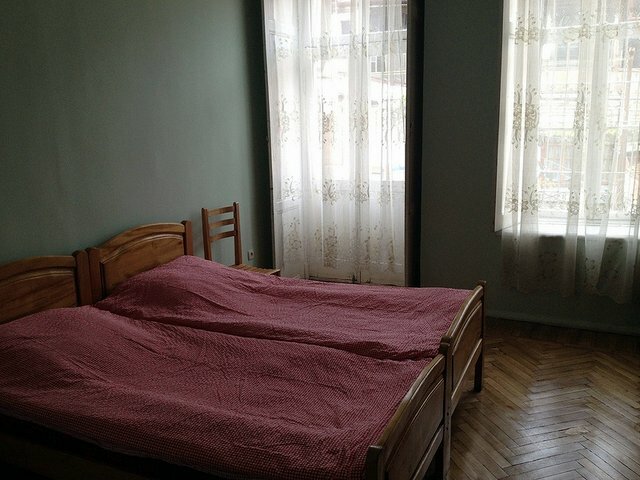 Please tell us at the time of booking, if you wish Room 1 or Room 2 or the whole apartment. The apartment is centrally located in the Old Town between Freedom Square, Leselidze Street (now re-named into Kote-Abkhazi-Street), Sioni Church and Meidani Square and has a television, refrigerator, washing machine, WIFI internet. You are in the center of the non-renovated part of the old town. The narrow streets offer a wealth of pictures for your photography, but also one or the other dirt corner. The people and neighbors are of different nationalities. In addition to Georgians and Armenians there are Azeris, Jews, Kurds, Russians, Ukrainians, Balts and all are very nice and helpful. Crime is virtually non-and you can stroll in the evening calms the many surrounding restaurants, bars and cafes and relax to your heart’s. 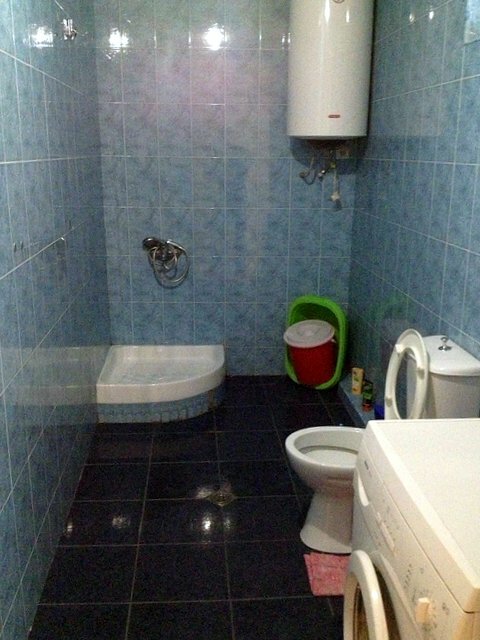 Your are located between Meidan, Freedom Square, Kote-Apkhazi-Street and Dadiani-Street. You discover the town best by walking, but Taxis, Minibuses and the Metro are very close. 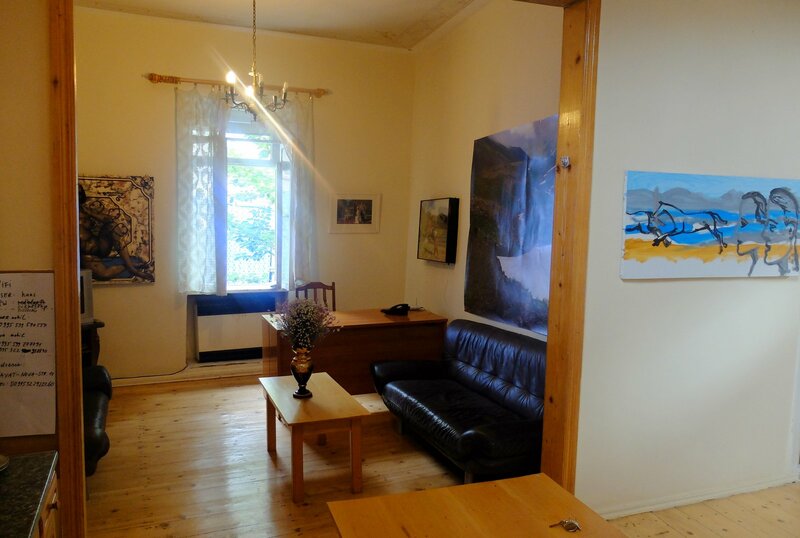 “Great apartment in the heart of the old town with 2 balconies, as well as telephone and television. Kitchen and living room invite to celebrate life. We were able to lay the breakfast at 12 clock and so enjoyed independence, safe location and care by the landlord. “Rolf H.